THE FACE SHOP lent a helping hand to MAKNA (National Cancer Council) to raise fund and to raise general awareness during a 2 months campaign that ended on 31st October 2017. The Shop To Raise fund campaign was the pilot CSR project for THE FACE SHOP Malaysia. 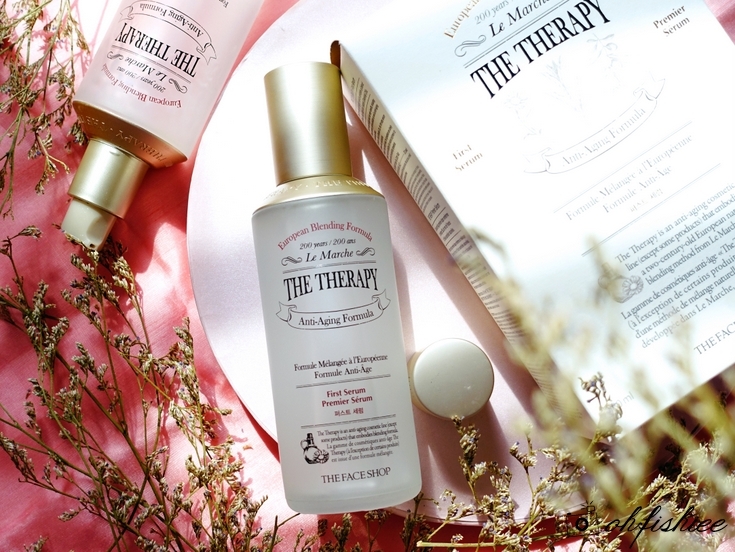 To support the Shop To Raise fund campaign, THE FACE SHOP came up with the theme, The Seven Wonders of The Therapy First Serum and the first serum is not just a skincare product. A bottle of The Therapy First Serum can offer up to 7 methods of usage, as a first step serum for higher absorption in the skincare regime, as a 7 times toning, as an exfoliation, as a mask, as aroma therapy, as a face mist and finally, as a stress reliever by point massage on the face. MAKNA (Majlis Kanser Nasional or National Cancer Council) named after the Malay language word for “meaning” and its slogan “A Meaning to Life” is a not-for-profit social enterprise that helps cancer patients, regardless of background, race, color and location. MAKNA’s core activities are support service, treatment, research, create awareness and educational programs to educate and promote the understanding of cancer. The Shop To Raise Fund campaign is supported by purchase of one bottle of The Therapy First Serum and received another bottle for FREE. The Therapy First Serum retail selling price is at RM149.29 inclusive 6% GST and each bottle of The Therapy First Serum sold, RM15 proceed will go to MAKNA and every customers that supported this campaign received a token. THE FACE SHOP sold 6,619 bottles and raised RM99,285.00 for needy patients & their families being aided by National Cancer Council Malaysia (MAKNA). Every year MAKNA receive over 5,000 referrals from 93 government hospitals. They aim to raise the level of cancer awareness and generate sufficient funds to help the financially-challenged cancer patients and their families. The fund raised is to provide uninterrupted supply of financial assistance, nutritional support, prostheses, medical appliances and prescribed drugs to cancer patients. Recently, a private event on mock cheque presentation was held at MAKNA’s office located at Jalan Ampang. The mock cheque presentation was presented by THE FACE SHOP Malaysia Mr Steven Jeong to MAKNA General Manager, Puan Farahida Mohd Farid and Head of Division of Services Puan Imelda Ishak. “MAKNA is foremost, grateful to have THE FACE SHOP in the fundraising campaign. We appreciate the support THE FACE SHOP has given to MAKNA, which has enabled us to provide uninterrupted aid to cancer patients and to continue mobilizing resources to help not just the patients, but also their families, and high-risk groups. We hope that just like THE FACE SHOP, more corporate from all industry would see the importance of helping cancer patients and of raising cancer awareness so that people take better ownership of their health” said Puan Farahida Mohd Farid. THE FACE SHOP Malaysia wish to express our gratitude to all who contributed to this good cause. MAKNA is humble and grateful towards the effort and commitment by the team and the contributors involved in the campaign.